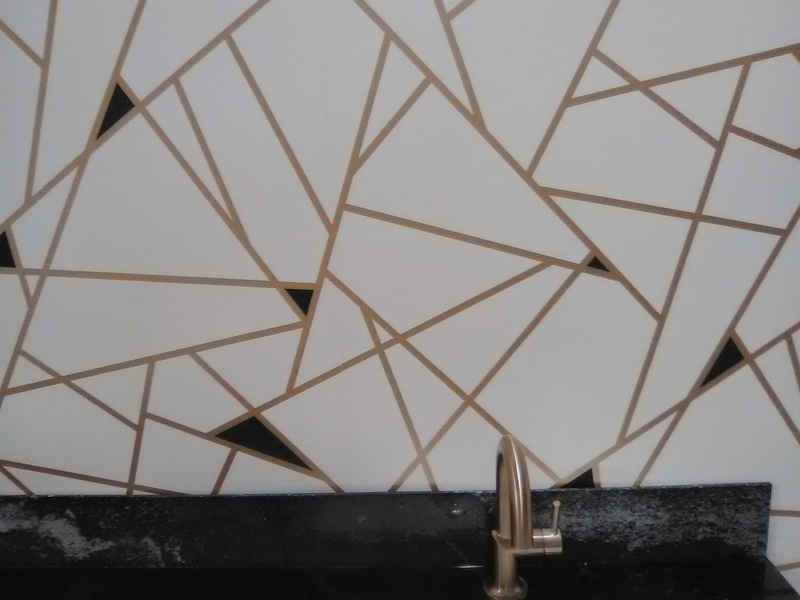 These “broken lines” type designs are quite popular right now, and this one is particularly suited to this Mid-Century Modern home, which is being renovated to highlight all its retro glory. 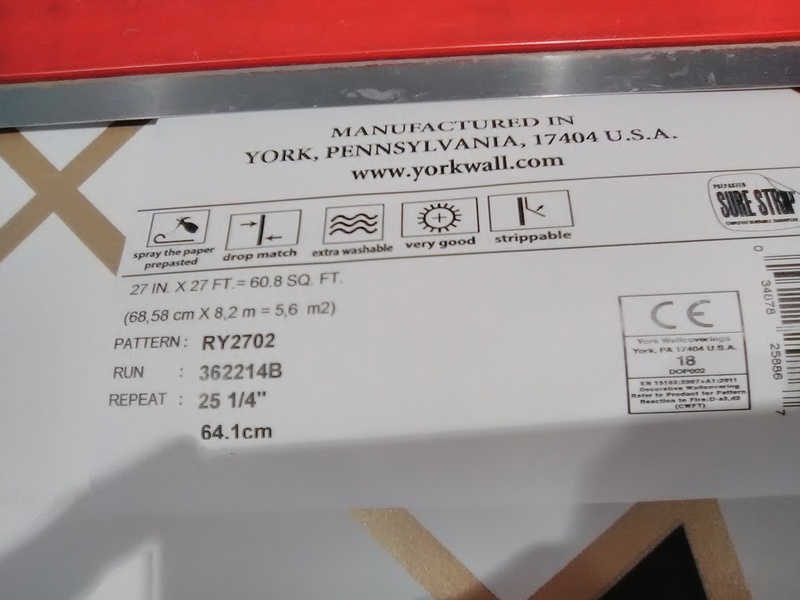 This paper is by York, in their SureStrip line, and is a very affordable alternative to high-profile and high-end patterns like “Channels” by Kelly Wearstler. 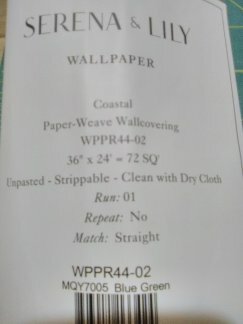 It’s a thin non-woven material, comes pre-pasted, is a dream to work with, and hugs the wall tightly. 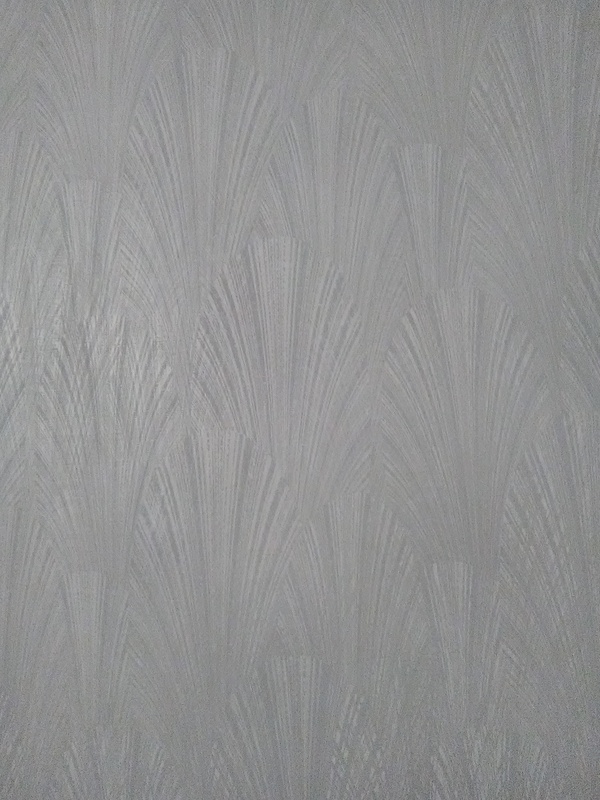 By contrast, often times, high-end papers are bugger-bears to work with and get to look good on the wall. Originally living in the heart of New York City, these homeowners “got a better offer” and moved to Houston. 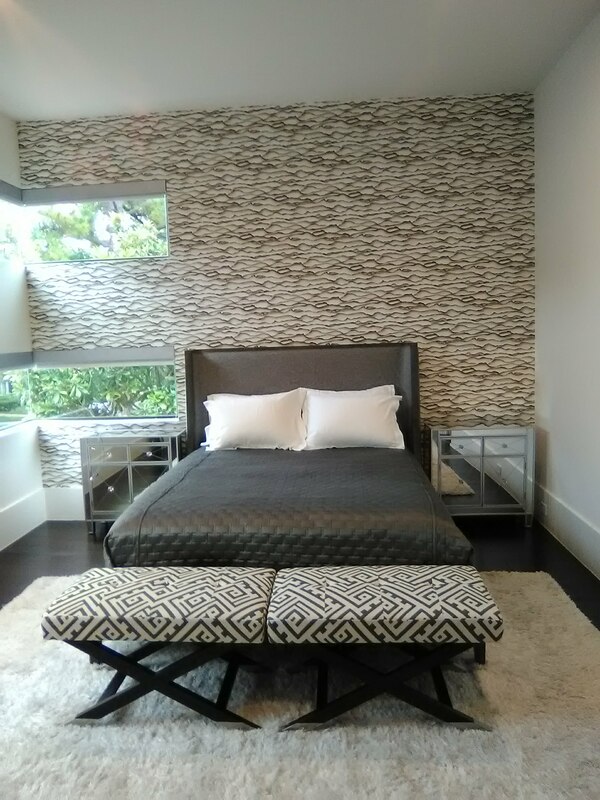 In a nicely updated 1925 bungalow in the Woodland Heights, life for these two has changed for the better – but the wife still reminisces over the view she had out her skyscraper office window back in NYC. 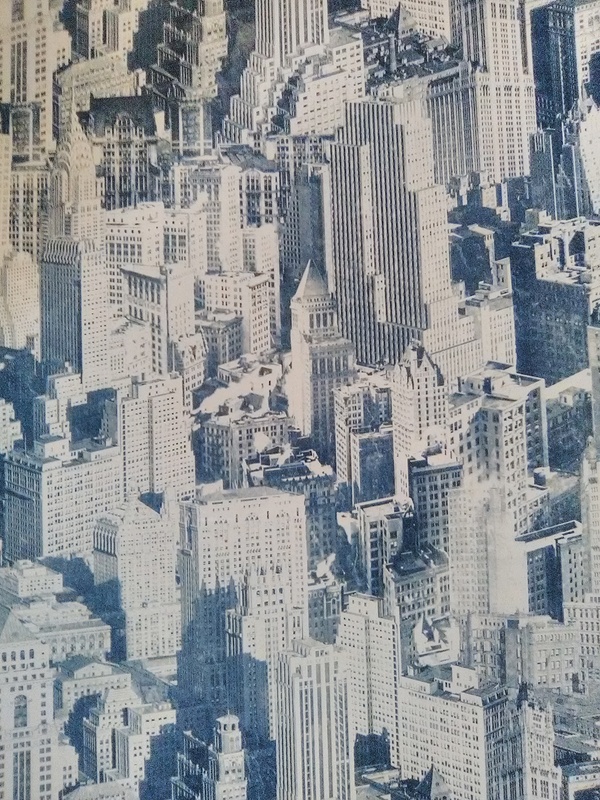 She found this really cool wallpaper design, which depicts hundreds and hundreds of New York buildings, from tall to gigantic, from the 1800’s to the 2000’s, with many styles of architecture tossed into the mix. 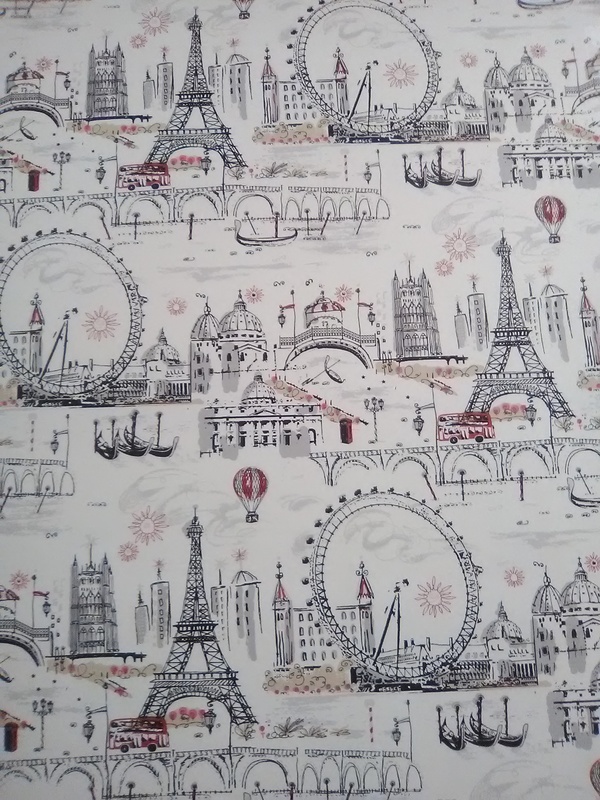 Where did this cool and sentimental wallpaper go? 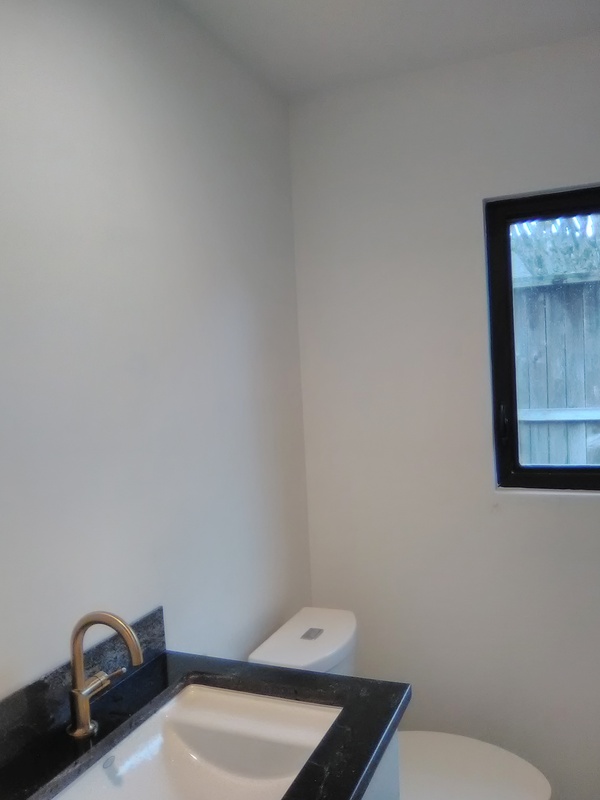 … In the laundry alcove. 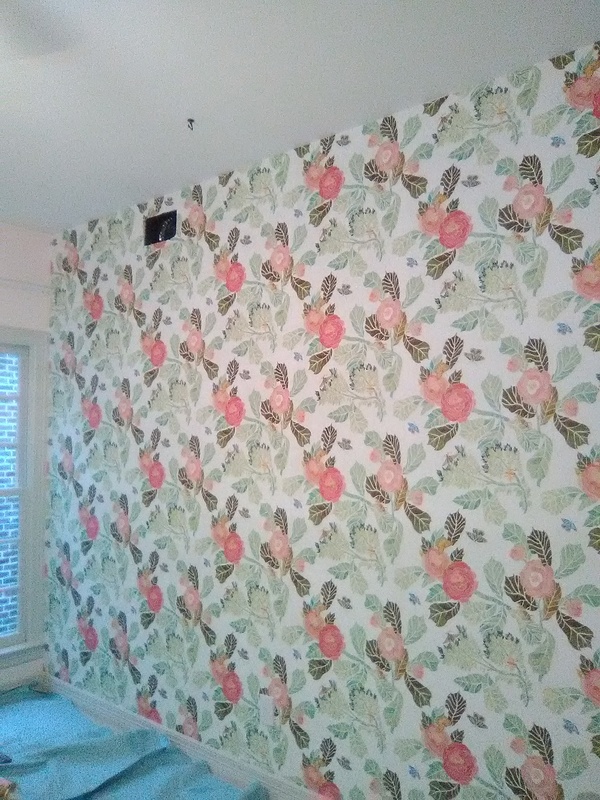 But it’s not tucked away in the rear of the house … this laundry room is in the main hall leading through the house – which means that this fun and sentimental wallpaper is on view every time anyone walks through the house. 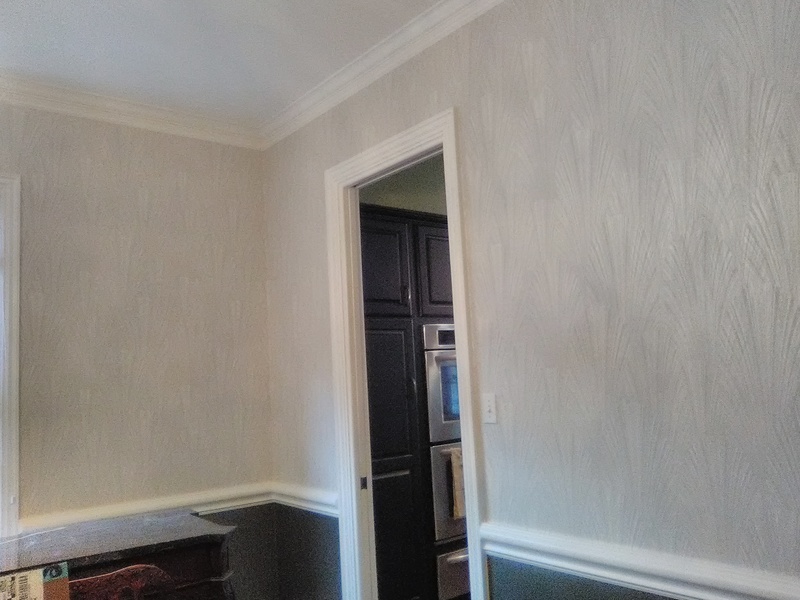 This wallpaper is by York, in their Sure Strip line. 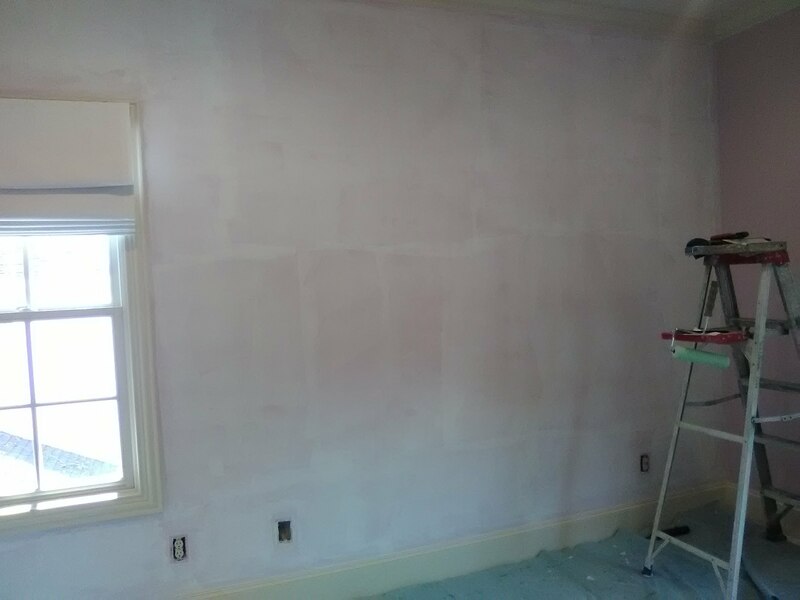 It is a thin, easy to manipulate non-woven material, and is designed to strip off the wall easily and with minimal damage, when it’s time to redecorate. 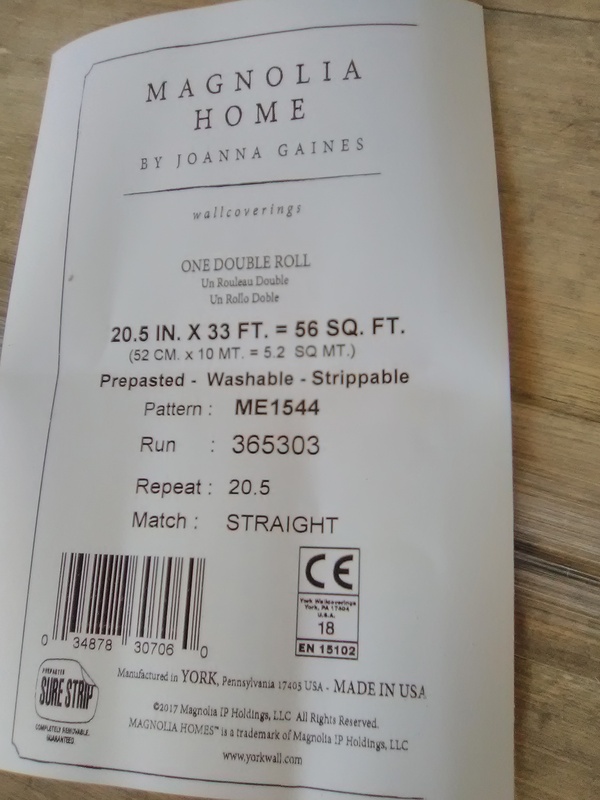 This is one of my favorite brands, because it’s easy to work with, doesn’t tear or crease, it doesn’t shrink and gap at the seams, it’s easy to remove, and it will stand up to humidity, such as will exist in a laundry room. 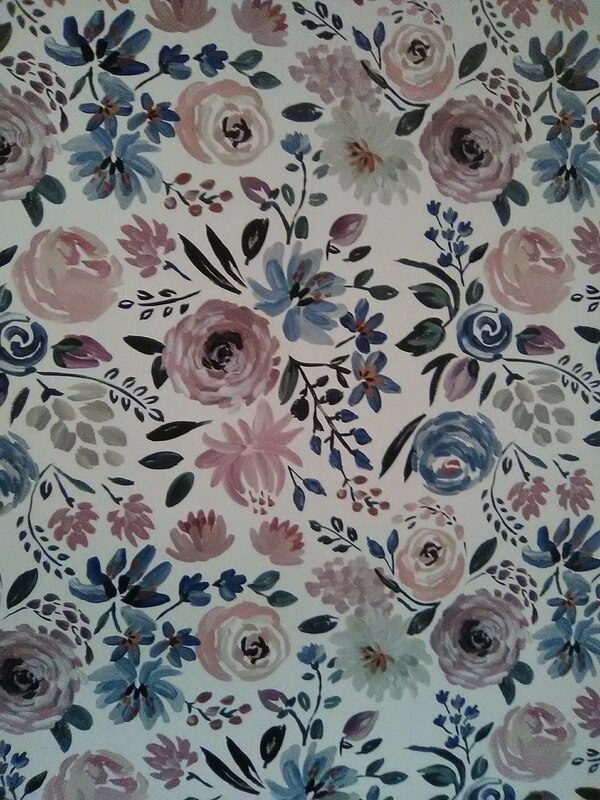 I hung this same pattern on October 25, 2018 (look up the post in the archives to the right), but in the navy blue color. It was as fun today in grey as it was then! 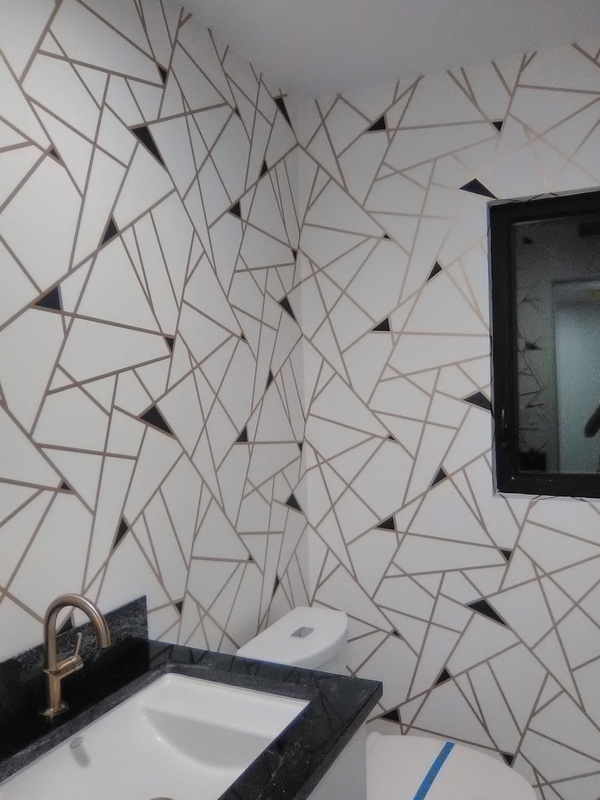 It’s unusual to do just one wall in a powder room, because a small room looks more cohesive when all the walls are the same. 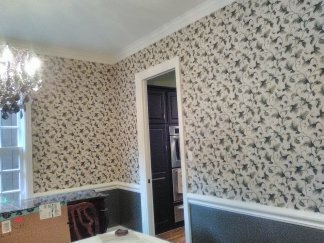 But this pattern would have been more than a little difficult to live with if it were on all four walls! 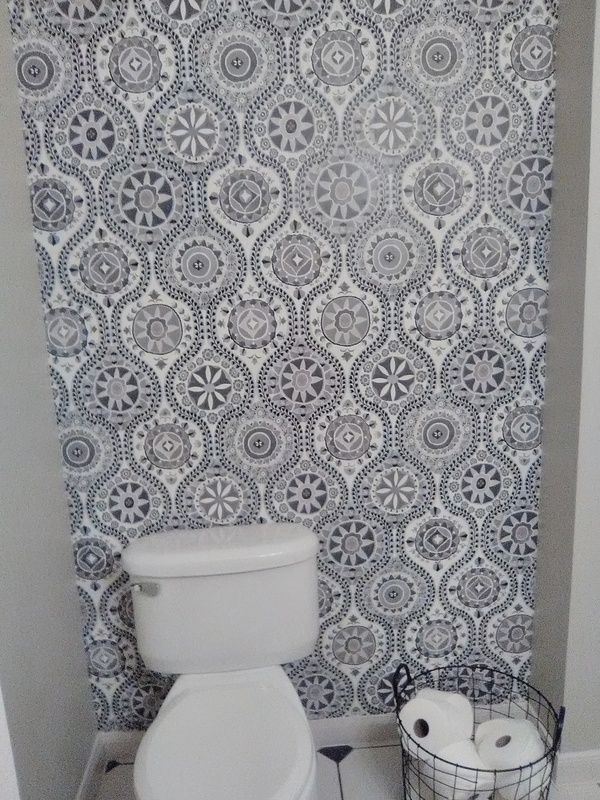 (The previous homeowner placed it on all the walls, but that bathroom was broken up with doors, mirrors, shower tile, etc., so the impact of the wild pattern was minimized.) 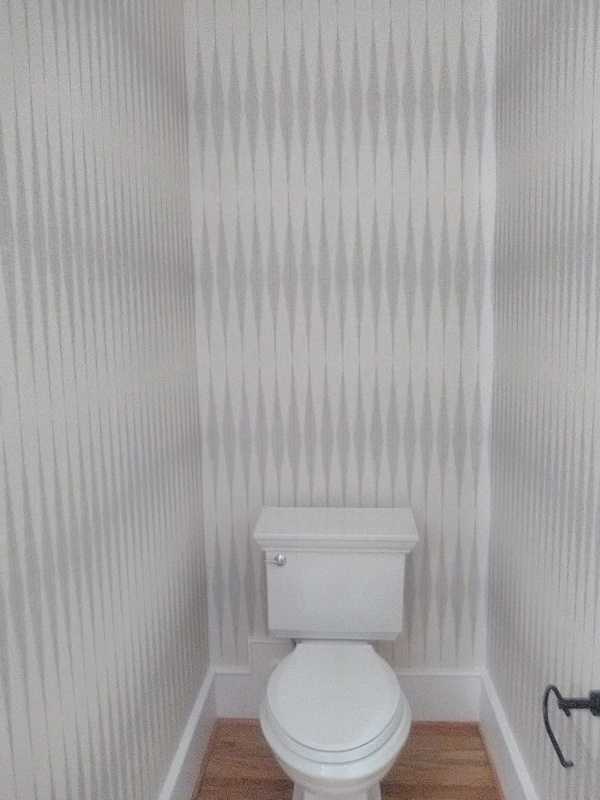 This wall behind the toilet is what you see when you enter the room, or simply walk past, so it delivers maximum visual POW! 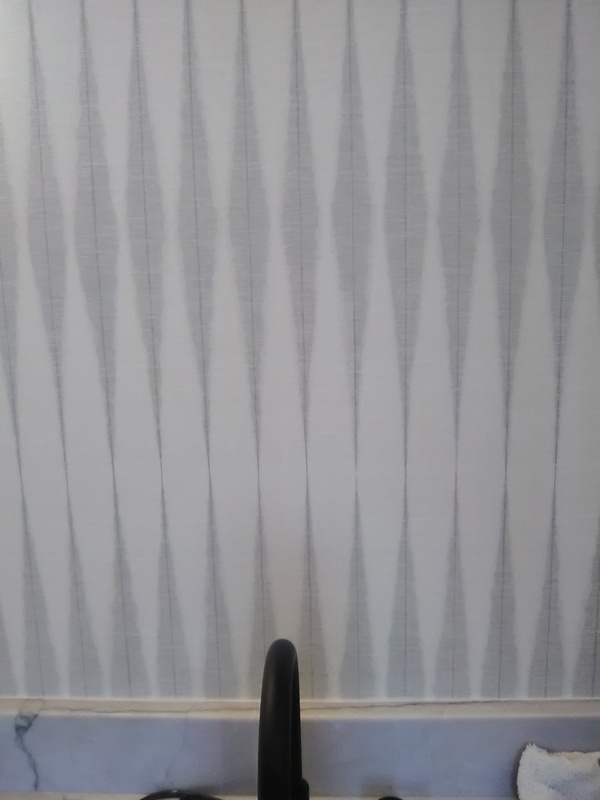 This wallpaper is made by York, in their Sure Strip line, one of my favorite papers. 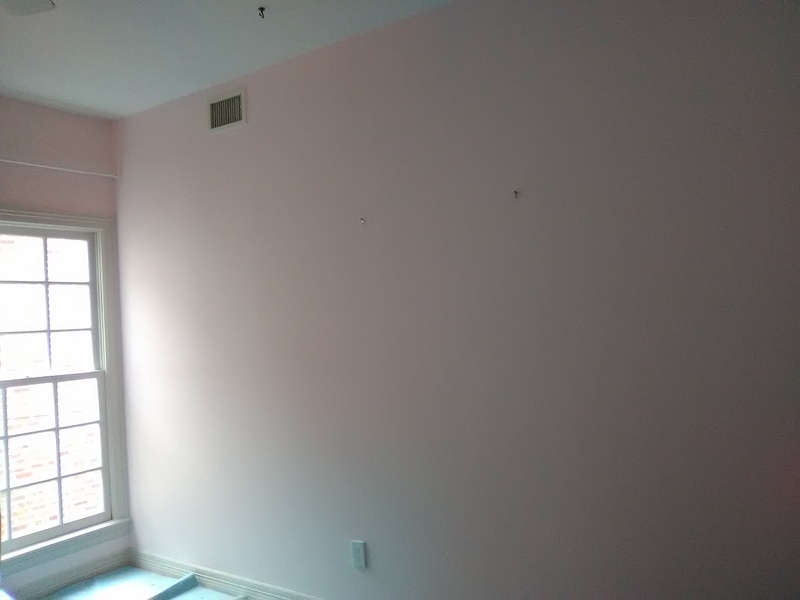 It’ a thin, pliable non-woven material, and is designed to hug the wall tightly when you want it up, but to strip off the wall easily and with minimal damage to the wall when it’s time to redecorate. 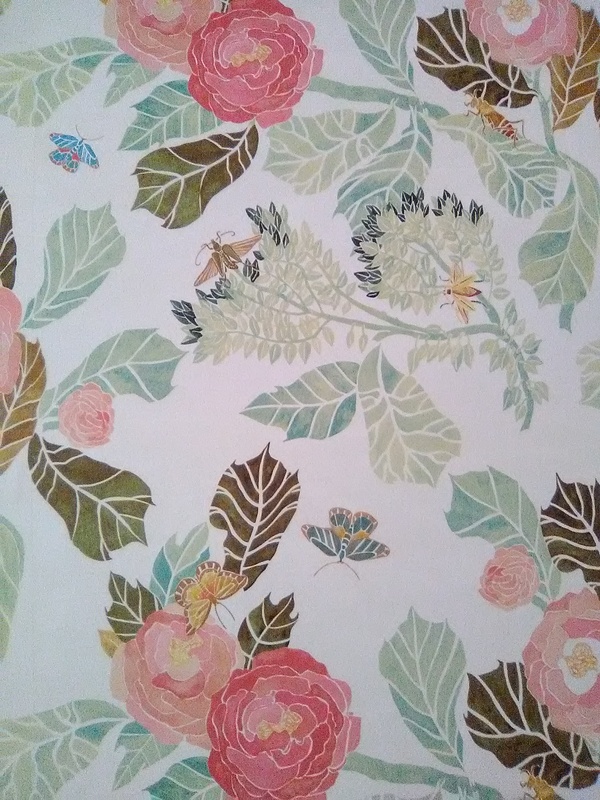 This pattern is made exclusively for Anthropologie, and can be bought on their website. 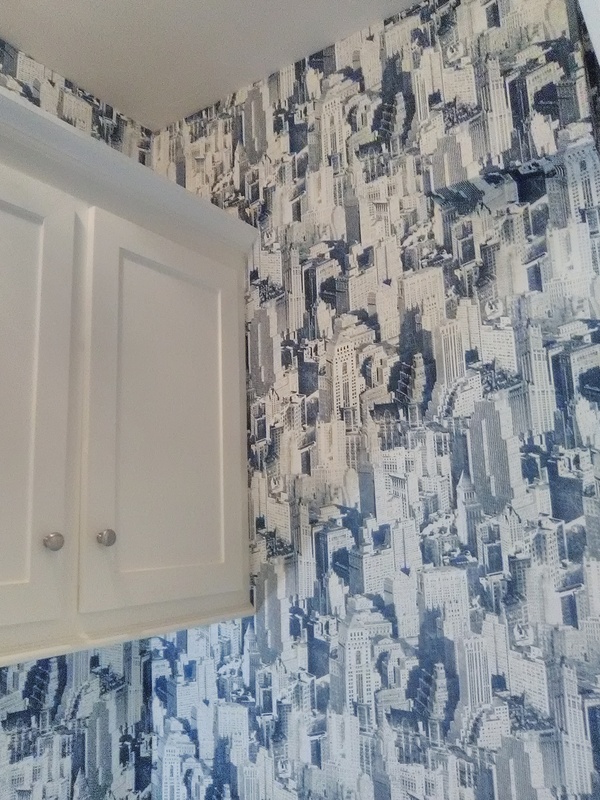 3D Ruffles – or Wallpaper? 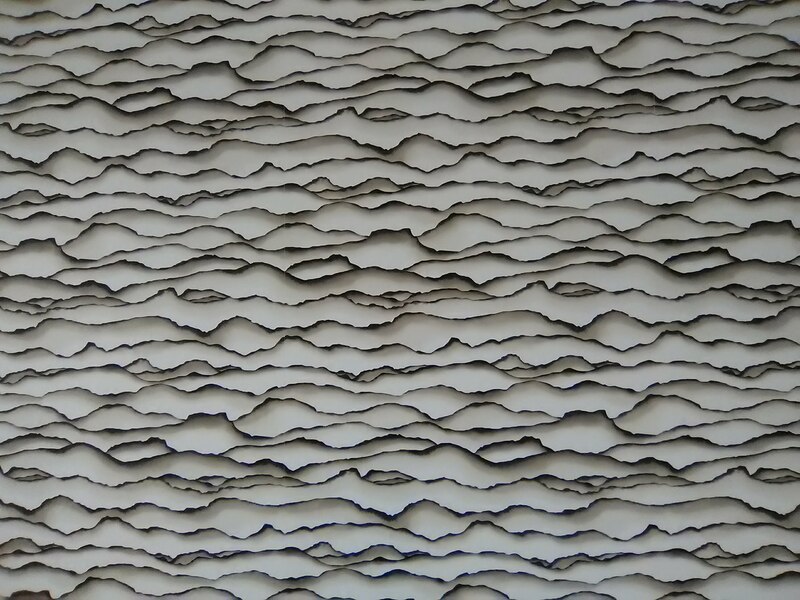 You want to reach out and touch this stuff – it looks like three dimensional ruffles of paper with singed edges. 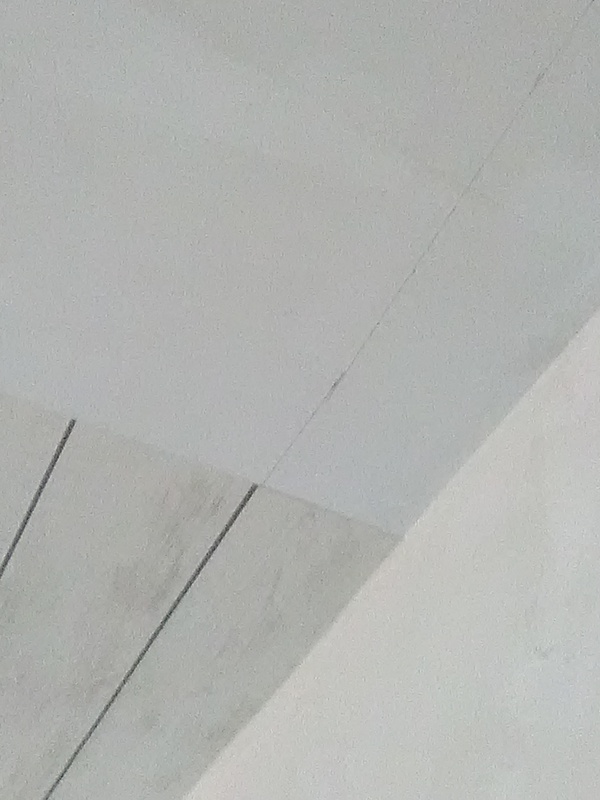 But no – it’s flat wallpaper! 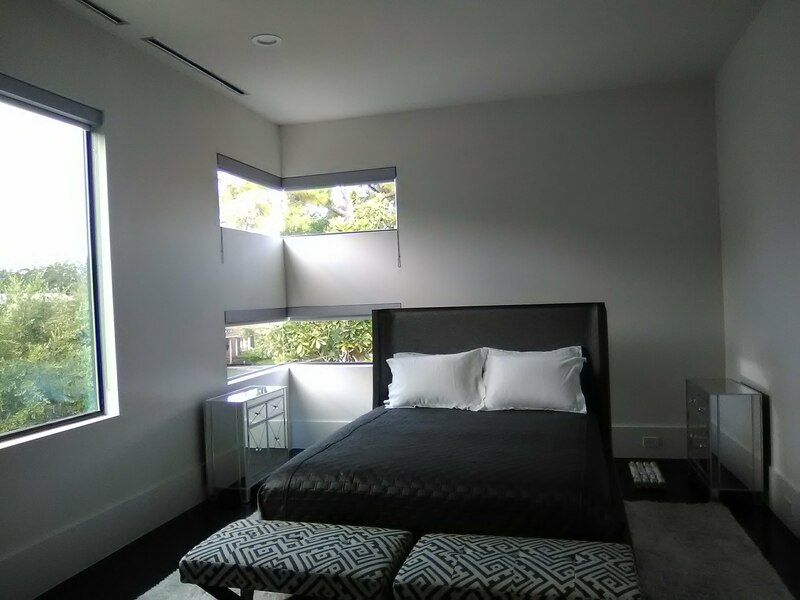 What a modern edge it brings to this guest bedroom. 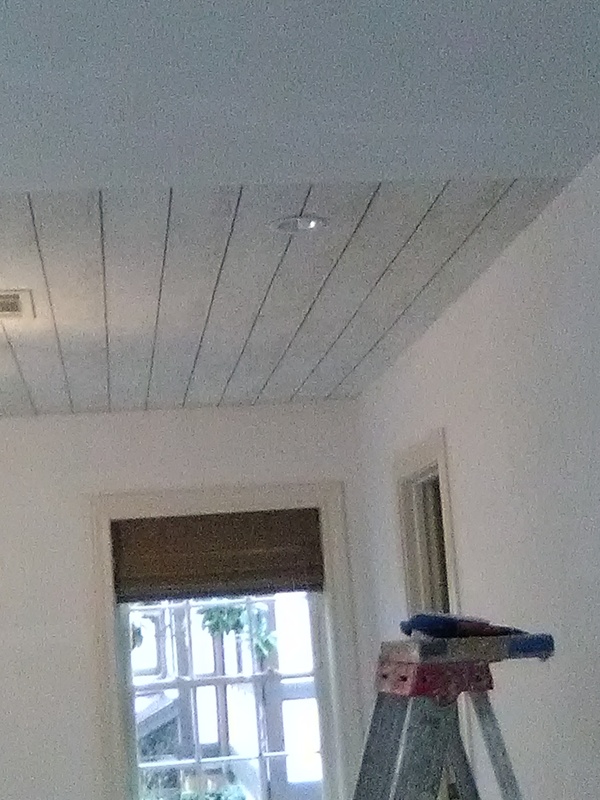 And it suits the contemporary feel of the rest of the house. 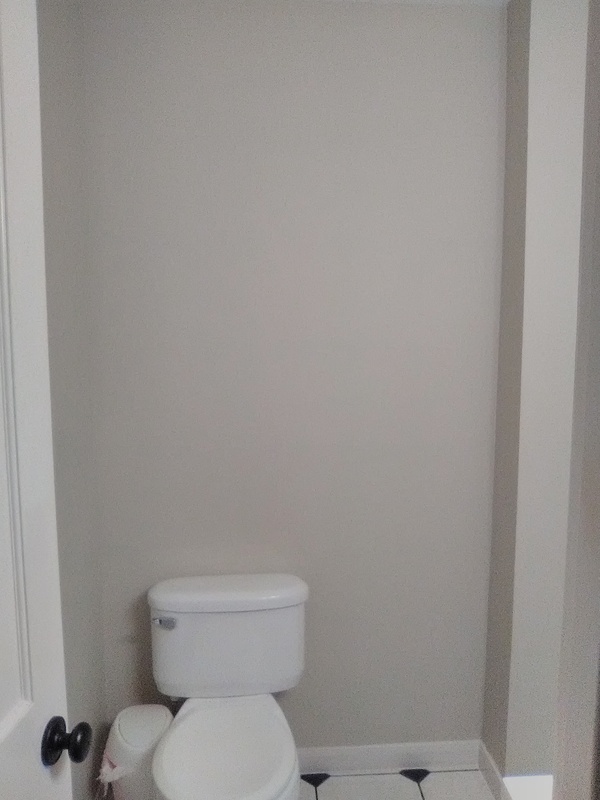 This home is near West University, in Houston. 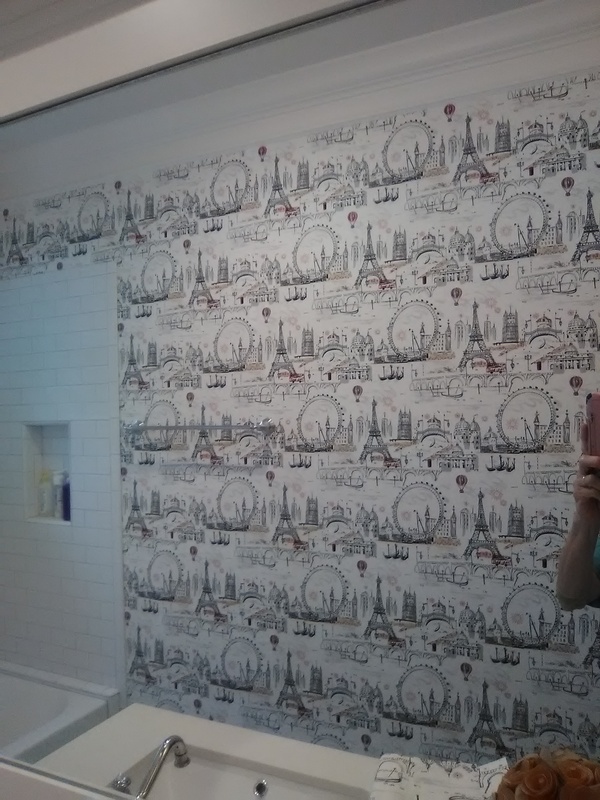 The wallpaper is by York, and is in their SureStrip line. 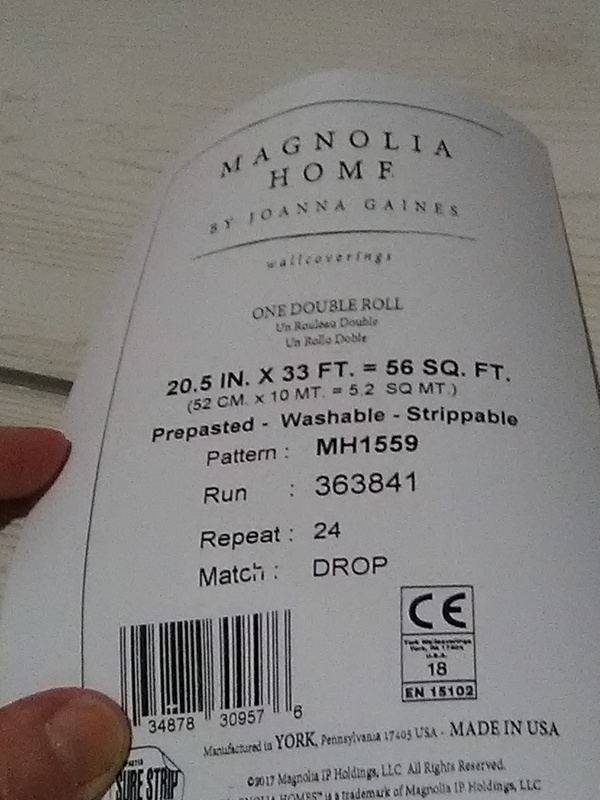 It is a pre-pasted, thin, non-woven material, and is one of my favorite brands. 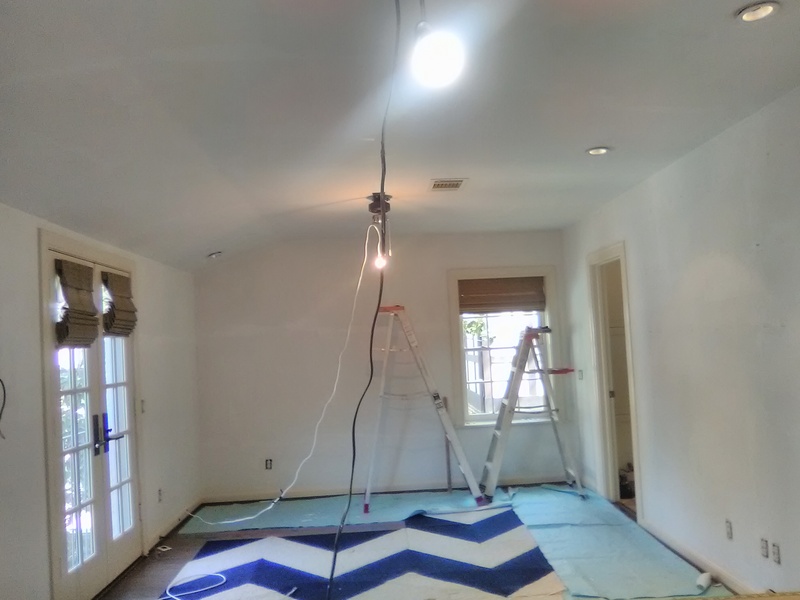 It is thin and agreeable to work with, and will hug the wall tightly for years – until the homeowners get the bug to try something different. 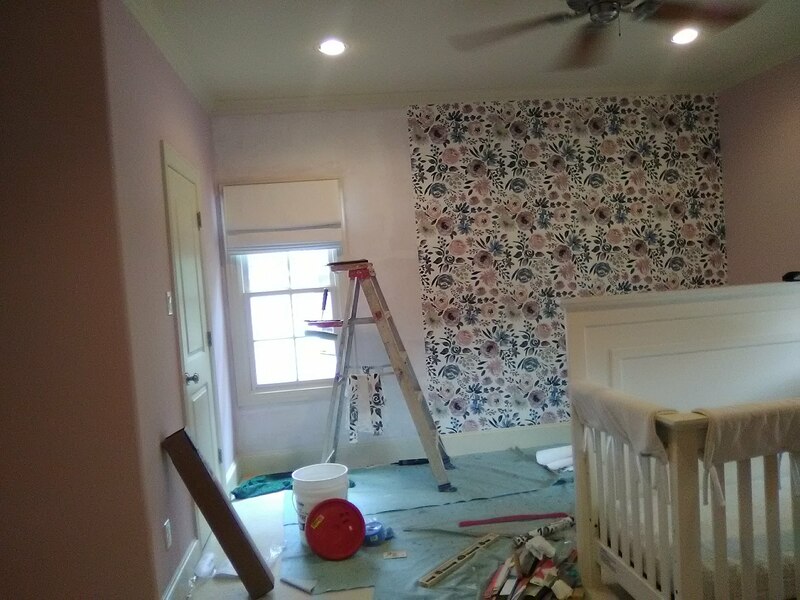 Here’s a bolder twist on pastel flowers for a 2-year-old girl’s room. I’ve hung similar patterns for other little girls (do a Search here) done in this water-colory look, but in “sweeter” colors of pink and peach. 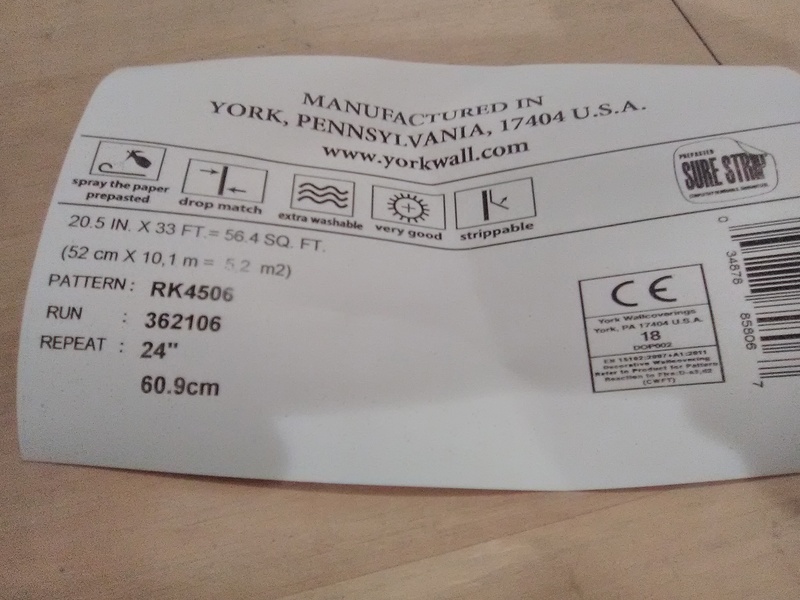 Interestingly, these all appear to be made by the same manufacturer (Sure-Strip, by York), but the design and colors have been changed just a bit, and then distributed through different vendors. 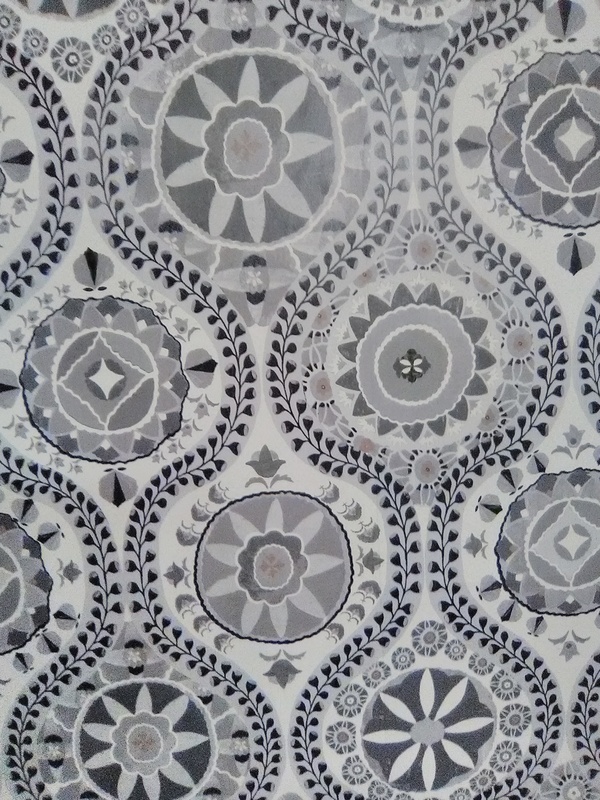 Today’s was sold by Caitlin Wilson, but most of the others came from Anthropologie. 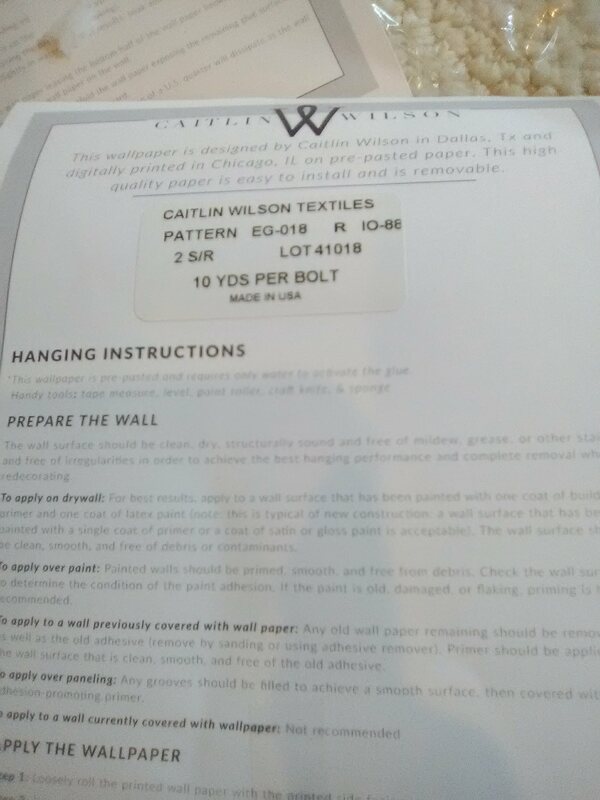 No matter who makes it and what brand is put on the label, this pattern is a wonderful choice for this young gal. The charcoal greys “grow it up” a little. It is not “babyish” and will grow with her, and can last well into her teen, and even college age, years. 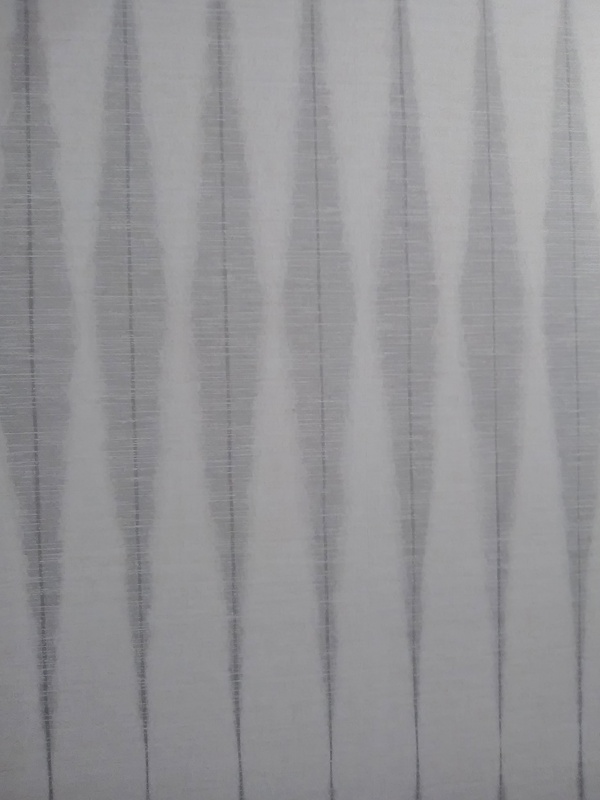 The paper is wonderful to work with. 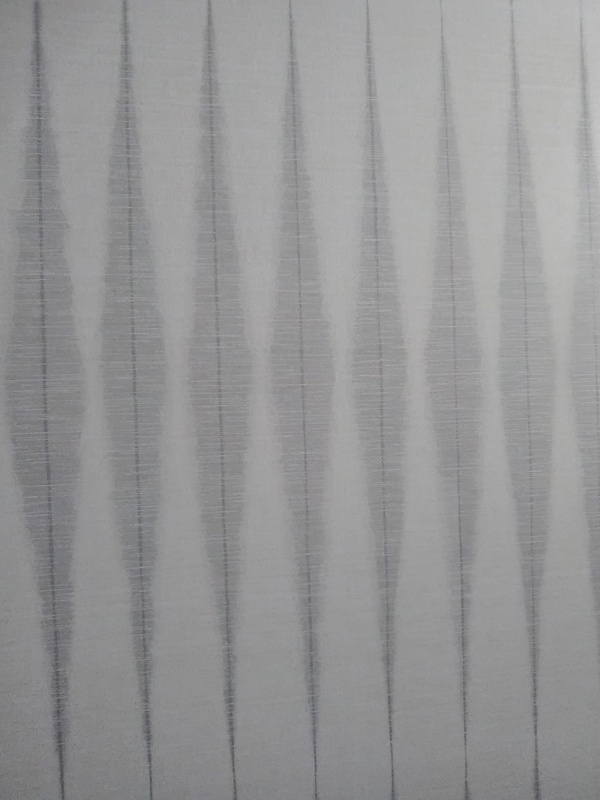 It’s pre-pasted, which means it has paste on the back that is activated by running it through a water tray – as opposed to having to apply paste with a brush or roller to the back of the paper. 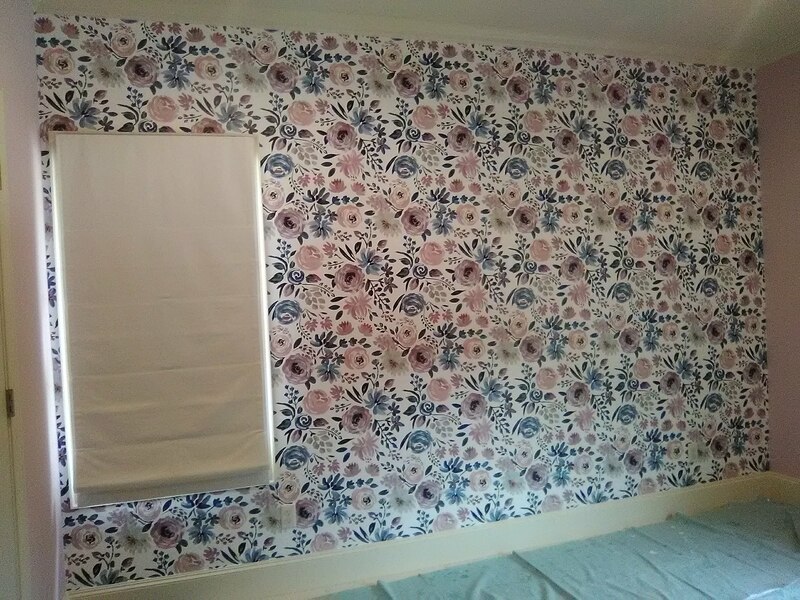 It’s printed on a “non-woven” substrate, and is designed to strip off the wall easily and in one piece when it’s time to redecorate. 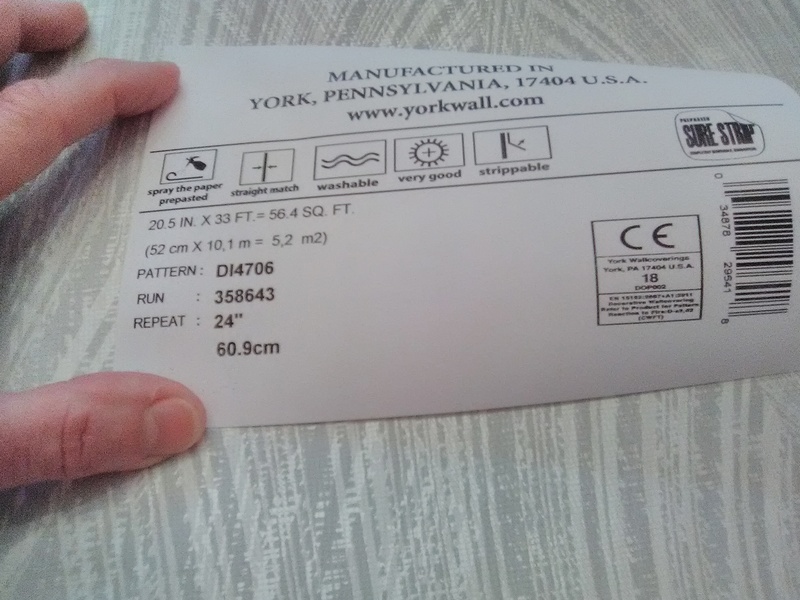 Yet, unlike many non-woven materials, this one is thin and pliable and the seams lie very flat. 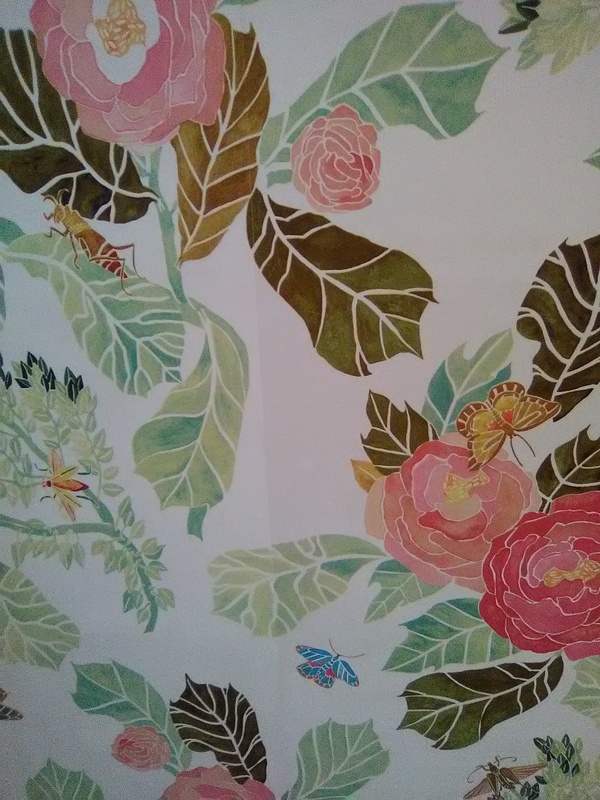 I hung this on one accent or feature wall in a newish home in the West University neighborhood of Houston.